Stack & Heater Analyzers l Process Analyzers including Mass Spectrometer l Physical Property Analyzers / Blending Packages l Gas Chromatographs l Photometric Analyzers l Steam & Water Analysis System Package l Integrated Analyzer package system with Shelter l HVAC, Split and Window Air Conditioning units for installation in hazardous and non-hazardous areas l Specialized Analytical solutions for FCCU, SRU, HDPE, CRACKER, VCM,MEG PP, Butadiene, H2, NH3, plants based on Licensor philosophy. 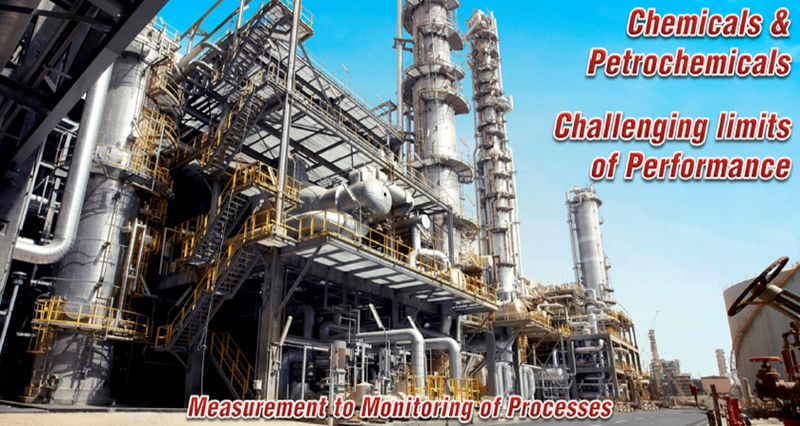 Analyzer packages for blending of motor fuels (MS & HSD) consisting of NIR, total Sulphur, physical property, viscosity and density measurement. Analyzers delivered with sampling probes, sample conditioning, validation,and sample recovery systems. Toxic, Flammable, Hazardous Gasses, Point IR Gas Detectors, Catalytic,Electro-chemical & Flame Detectors etc. Displacer Level Transmitters for Level, Interface & Density. Nucleonic & Admittance Level Measurement in Reactors etc. Conditioning & Metering Skids for Natural Gas Application.